The skirt is an excellent multi-purpose skirt, which can be made from a variety of fabrics to suit different occasions. Ideal for everyday wear in hard wearing fabric as well as evening wear in more deluxe fabrics. 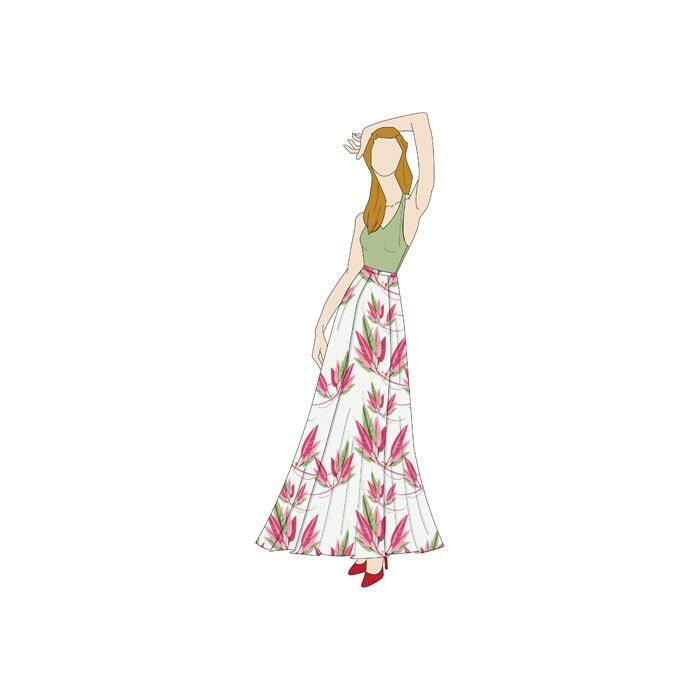 The skirt features 6 gores (or panels), it is fitted around the waist and hips, and flares out as it extends to the bottom of the skirt, giving the skirt lots of movement when worn. 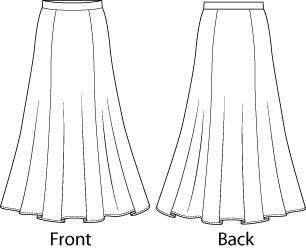 The finished length of the skirt is 35" (89cm), which for the average person will mean this skirt will finish at ankle length. The pattern can always be adjusted a little by adding some extra length for a full length skirt. It's a fairly simple pattern, however you'll need to be able to fit a zip and create a button hole (alternatively you can use a hook an eye).